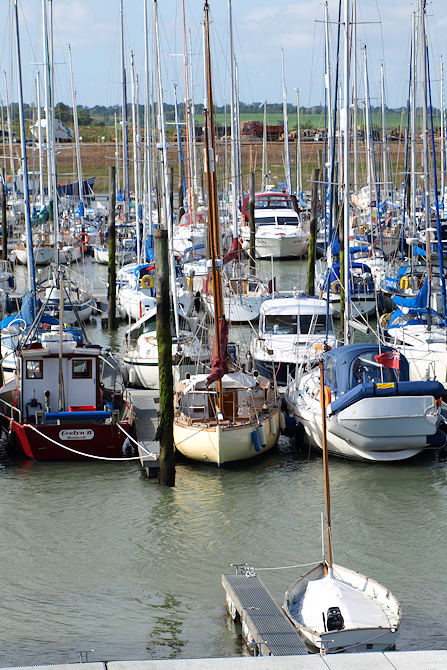 Bradwell Marina is quiet today in the early morning light. Yesterday the ships were screaming as the wind howled through their rigging. Today, there is a stiff breeze, but the ships are silent. I wonder about the ship I saw being blown up against the sea wall yesterday. Did the small motor boat succeed in towing it out of trouble? For a moment I am tempted to go back and see if it is still there. But that would take me across the muddy development area and in the wrong direction. So, I walk along the sea wall, heading East and skirting the edge of the marina. Then I see it. The same boat. I recognise the name. It is up on a hoist, hull exposed, resting gently in a quiet corner. There appears to be no damage. I feel relieved – at least I know the outcome and the ship is unscathed. The sea wall winds towards Bradwell power station and the twin blocks of this station are my constant companions for this morning’s walk. There are people out enjoying this lovely bank holiday Monday – walking with dogs along the sea bank for short stretches. Some people have properties that back onto the bank, with gates from their gardens leading up onto the walk. I try not to think about adders. The grass is short and well trodden. I should be safe. As I approach the power station, I see a long structure in the water – a jetty. It rises, uncompromisingly, out of water – a long, tall shelf of metal – running parallel to the shore and completely separate from the mainland. The only way to and from it would be by boat. I wonder what purpose it served. There are no ships are here today. The structure looks impressive and I stop to take photographs. Now I pass the power station. There is no noise, no hum of machinery, no sounds of traffic or of industry. There are signs warning of private property, but no signs to indicate danger. I am surprised. Compared to Sizewell, where I walked some weeks ago, this is spookily quiet. I later learn that Bradwell was a nuclear power station and is no longer functioning. It has been “decommissioned”. I wonder how much radioactivity, if any, still lurks inside it. In the morning light these large, silent buildings are strangely attractive. And the area around them is truly beautiful. Here is a wonderful, pebbly beach, stretching out along this far reach of the Blackwater estuary towards the open sea. The breeze is fresh. The air is clear. I feel a sense of exhilaration. After so many miles of estuary and river banks, I am finally approaching the edge of the real sea again. As I walk along the beach, I realise it is covered in shells. Across the water I can see the shore on the far side of the River Blackwater – Tollesbury marshes and Shinglehead Point. It seems a long time since I strolled round those lonely marshes. In the further distance, I can see the shoreline of West Mersea with buildings and boats. It has been 5 days of walking and 65 miles since I left West Mersea. Yet I have only travelled a couple of miles as the crow flies. Two miles in 5 days! I fight off a feeling of despondency. I have had a wonderful time walking along the Blackwater River and Maldon was a delightful place. Since then I have learnt about vikings, encountered adders and coped with gale force winds. Now the open sea beckons and I will have miles of uninterrupted coastal walking, around the Dengie peninsula, before I reach the next estuary and the River Crouch. Ahead of me I see a fisherman and I pass a couple of joggers. There are very few people around and I am surprised to find this place so isolated, given its wild beauty. There is a pill-box on the beach, proudly guarding the entrance to this river. An elderly gentleman is peering through one of the small windows. His wife waits impatiently on the beach. My father spent some weeks in a pill-box like this one, in Kent, waiting for the German invasion. I wonder if this man has similar memories. I continue along the sea wall. Ahead I see the beach gives way to an expanse of mud. 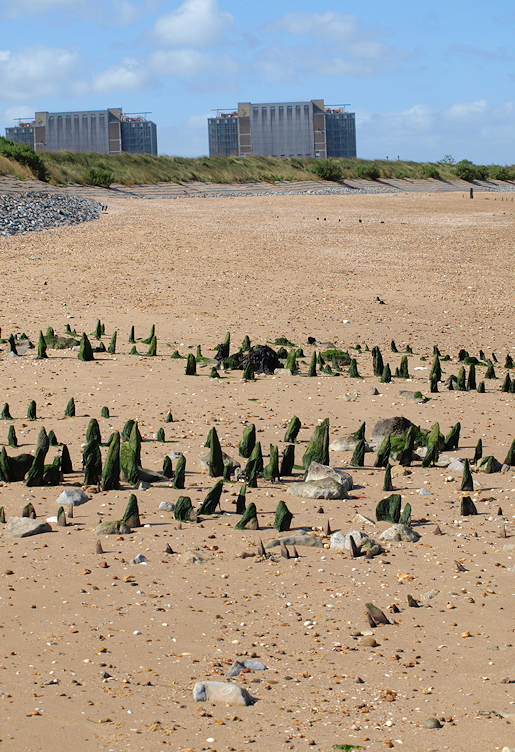 I see some oddly shaped breakwaters beyond the mud – breakwaters that look strangely similar to barges. As I approach, I realise that is exactly what they are; sunken barges in a line, protecting this part of the coast from erosion. 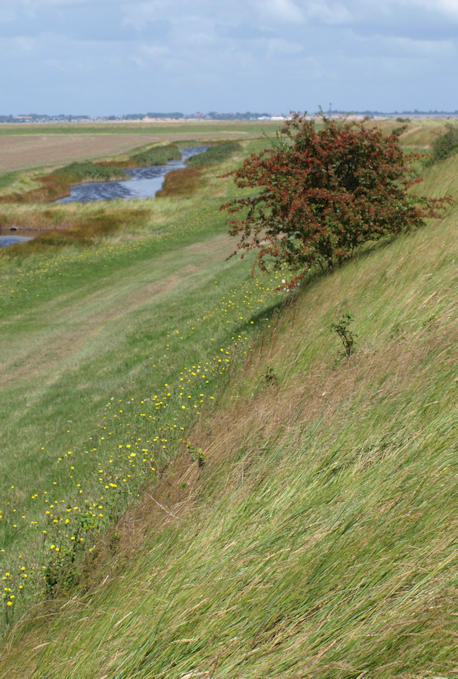 I have seen many different forms of coastal defence in my walk through Norfolk, Suffolk and, now, Essex. But this is a surreal sight. To my left are open fields with some giant haystacks in the distance and, beyond these, the twin buildings of Bradwell power station. I like the juxtaposition of these two contrasting rectangular constructions – the enormous haystacks and the industrial buildings – and I stop to take more photographs. I realise this will be my last real view of the Bradwell site. I feel strangely sad to leave the buildings behind. They have been my constant companions ever since I first spotted them across the water from Mersea Island. 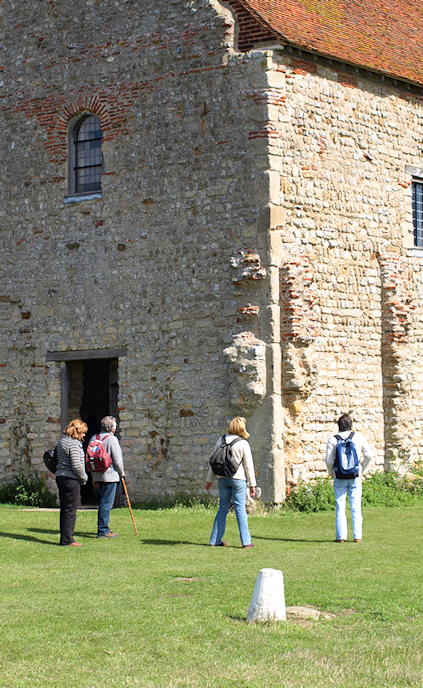 Around the Dengie Peninsula, there is a coastal path stretching from Bradwell Power Station to Burnham on Crouch; seventeen miles of coastal footpath, with no villages, no towns and no marinas; along which the only building of any significance is St Peter’s Chapel. As I walk around the point, the sea wall suddenly becomes crowded. Young couples and families are out walking. I find this strange because this area is not as attractive as the quiet beach I have just left, hidden around the corner. But the reason for the influx of sightseers is because I am approaching St Peter’s Chapel. St Peter’s Chapel lies at the beginning of St Peter’s Way, a long distance footpath that follows the coast path for a short distance before turning inland. The Romans built an ancient fort here, Orthona, long since disappeared and now covered by marsh and sea. The chapel was built by St Cedd, who left Lindisfarne and came ashore here in 653. He built a “cathedral”, using stone from the old Roman walls, at the site of the old Roman gatehouse. As the years passed, the chapel fell into disuse and was later used as a barn, before being restored in 1920. Unprepossessing from the outside, the inside of the chapel is simply decorated. But for me, the amazing thing is the powerful atmosphere that fills the place – an atmosphere of peace and serenity – along with a sense of being in a very, very old place. I linger for a while, and sit on the sea wall nearby to eat a snack and have a drink. Then, I start off along the official path – St Peter’s way – following the sea wall and heading South. Ahead of me lies fourteen miles of footpath with nothing en route, until I come to Burnham on Crouch. Soon, I am alone. The St Peter’s Chapel tourists have been left far behind. The sun is slanting across the fields to my right. To my left is nondescript marshland, green and featureless. Beyond this is just a glimpse of bright sea. Notices declare this area to be a nature reserve. I see few birds, few plants; precious little of anything. My legs are tiring. The path stretches ahead towards the horizon. Occasionally, the bank takes a right angle turn, taking me nearer to the distant sea. Then another right angle turn takes me back inland again. Bradwell Marshes give way to Tillingham Marshes. The view is the same. The intermittent sluice outlets, and an occasional bush, provide the only relief from the flatness of mud and fields. Ahead I see a shape on the wall. It must be another bush. It looks like a man, sitting down, but that must be just my eyes playing tricks. Then, as I draw nearer, I realise it is a young man. He is sitting with a rucksack beside him and he is eating lunch, tucking into a yoghurt pot with a vigorous spoon. He hears my footsteps and looks up, rather startled. “Hello,” he says, squinting up at me. I must be silhouetted against the late afternoon sun. He has been following St Peter’s Way and has reached the coast, stopping for lunch on the sea wall before heading North up to the Chapel. I explain I am heading down the coast towards – and then I realise I have forgotten the name of the place where I am going. “The town on the next river,” I explain, somewhat lamely. He must think I am a demented old woman, out here in the wilds, unsure of where I am going. “Burnham on Crouch?” he asks. Of course, yes. So I continue, along the endless wall. 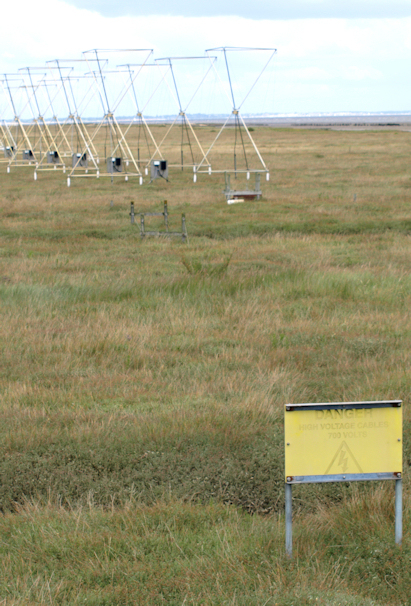 I come to a place where there are strange structures on the marshland. I had seen them from some distance away. Too small to be electricity pylons, too frail to be pumps or windmills, too permanent to be farm watering devices; I had no idea what they were. 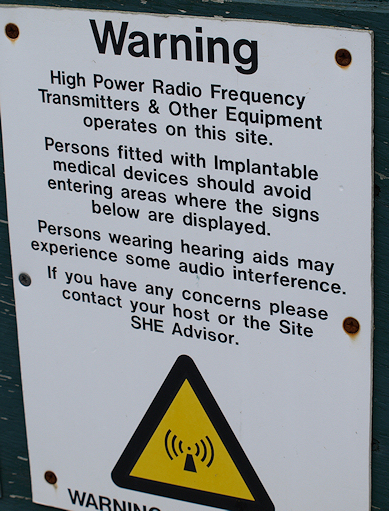 Then a warning sign identifies them as “High power radio frequency transmitters” and warns me that it would be dangerous to be here if I had an implantable medical device. What these transmitters do, I have no idea. Maybe they operate some of the sluices and drainage systems. Maybe they control offshore structures. I continue on, consulting my map frequently. There is little opportunity to drive a car close to this particular section of coastal path. But at one point a footpath leads inland and meets a track. The track connects a couple of farms and, I presume, be accessible by car. This is where I am planning to meet my husband. I find where, I believe, the footpath starts. There is no footpath sign, but there is a small, rickety footbridge crossing a water-filled ditch and with a vague path leading across a farmer’s field. I lose the path in the field and end up in a ploughed area with sweetcorn plants. I stumble along uneven ground until I find a track. I hope this is the right track. I hope there is access for cars. If I am wrong, I may have miles further to walk to find a road. Then I see him. There, walking to meet me, is my husband. I am very relieved. This was the right track after all. And he has managed to find it and drive the car to within a mile of the coastal path. Back at the car, I change out of my walking boots. We drive to Tillingham – a very pretty village – with a pub that serves late lunches. After a good meal and a rest, it is time to head home. This entry was posted in 04 Essex and tagged beach, Bradwell, coast, Dengie, Essex, Essex Coast, foot path, footpath, GB, hiking, path, photography, power station, St Peter's Chapel, UK, walker, walking. Bookmark the permalink. I believe that the stretch from St Peter’s Chapel at Bradwell to Burnham on Crouch is the longest length of coastline with no settlements (not even a house or farm) in England. Bradwell Waterside to Burnham today. Path very overgrown — couldn’t see my feet for much of the way. Last time I did it was in the winter, and then much easier! House Martins sweeping around inside St Peter’s Chapel, apparently nesting in its rafters. Ooh, sounds like I was lucky – I remember the grass being short on the sea bank for most of the way. Was more overgrown towards Burnham. 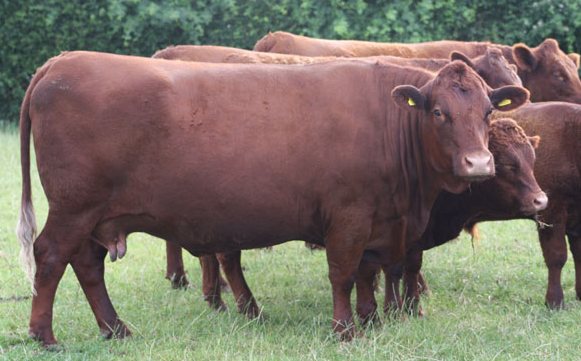 You walked futther than I did – it’s a long stretch between Bradwell and Burnham! Hi Ruth. The radio installation you saw is not an aircraft beacon. It’s an ‘Over The Horizon Radar’ system, coastal surveillance basically. Having walked this route a few times i was determined to find out about it. I finally found some info on the web link below, there’s a close up picture of one of the aerial structures halfway down the page which is identical to the ones out there near Bradwell. After working in London, the isolation in this area is wonderful. Yesterday I walked the coastal path from Bradwell Waterside right round then up the path inland to Tillingham, then back to the start. 12.3 miles and only saw one person, one small group and one dog walker all day. Hi Bob, and thanks for doing the detective work about the strange installations. Very interesting. Yes, looking at the photo these structures definitely look like ‘Over the Horizon Radar Systems’, although I notice the website doesn’t say exactly how they work! I wonder if they are being used to track aircraft or shipping, or both? Glad you enjoyed your walk. 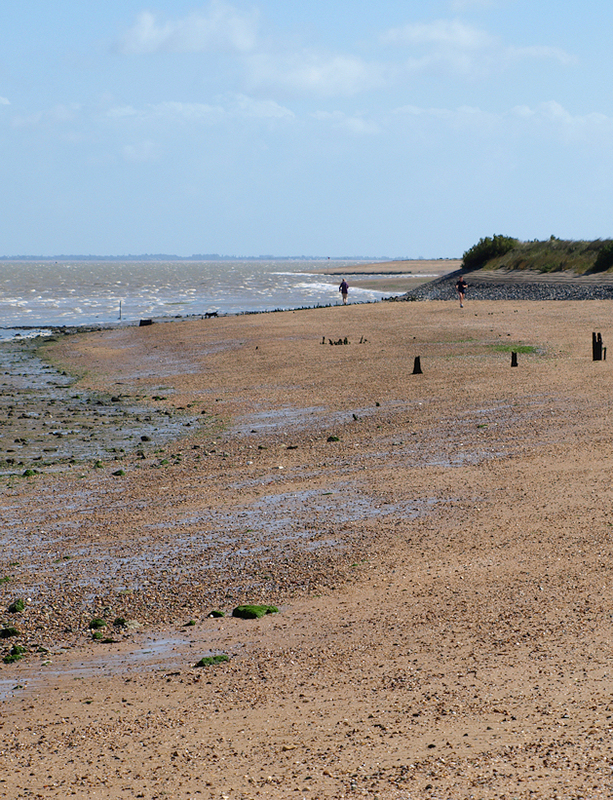 It’s amazing to find such an isolated stretch of coastline in Essex. I’ve always found that ancient places of prayer have that same sense of peace that you found in St. Peter’s Chapel. I once stayed in an old monastery at Capel-Y-Ffin, and it was exactly the same, despite now being used as a self-catering place for hikers etc to stay.